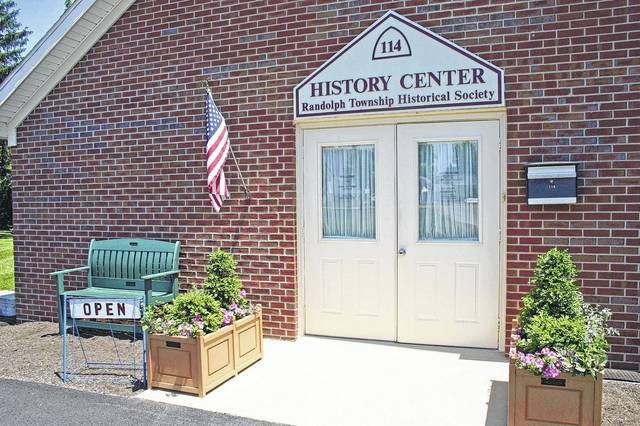 The Randolph Township History Center is located at 114 Valleyview Dr., Englewood. ENGLEWOOD — The Randolph Township Historical Society will hold a used book sale on Friday, April 26, from 10 a.m. through 6 p.m. and on Saturday, April 27, from 10 a.m. until 2 p.m. at the Randolph Township History Center, 114 Valleyview Dr., Englewood. Books are for adults and children, include cookbooks, gardening, history, health, travel, and more and are categorized for easy shopping. The sale will also have sheet music, CDs and movies in VHS and DVD format. Most items are priced from 50 cents to $2. The sale benefits the upkeep of the History Center. The Center is at 114 Valleyview Dr., Englewood. Traveling north from the National Road intersection, turn right on “History Lane” slightly north of Dairy Queen. In addition to the sign announcing the RTHS History Center, there will be a sign announcing the sale.